Create a new wireless network in hard-to-reach areas or upgrade your network to Wireless-N with this Wireless N Access Point. You can enjoy fast wireless connectivity with transfer rates up to 300 Mbps for streaming video, sharing photos or gaming online. Four modes let you customize your wireless expansion. Access Point creates a new wireless network or upgrades your existing to Wireless-N. 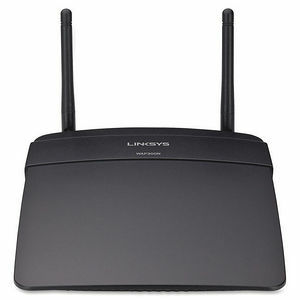 Range extender increases existing wireless coverage. Use the Media Connector mode to connect your HD TV or Blu-ray player or other Internet-enabled devices using the Ethernet port. The bridge mode wirelessly joins multiple networks together. You can also choose which band you set your access point to accommodate your devices on your network: 2.4 or 5GHz band. Wi-Fi Protected Setup (WPS) button on your access point is designed to get you set up easily and more securely. Wall-mountable device also features two detachable antennae to provide flexibility for increasing your wireless signal range.